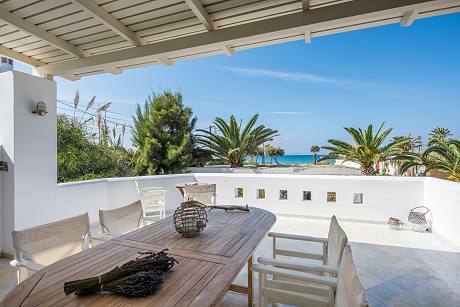 Villa Naxia is located in harmony with the wonderful ambience of the St. Georg beach – built in the typical Cycladic style and only 50m far from the beach. 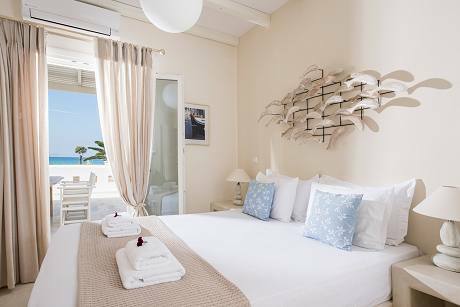 The tranquil and yet so central location (350 m to the city) offers a perfect mix of romantic, relaxation and action. 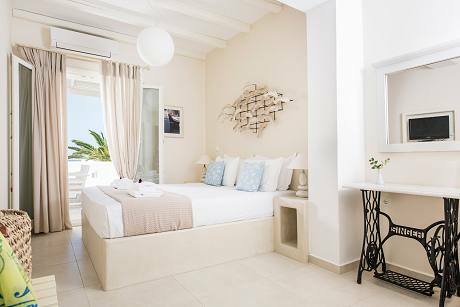 Whether young or old, families or singles, active vacationers or bridal couples – our location is the ideal base for all kinds of interests – island hopping, trekking, surfing or just pure relaxation! 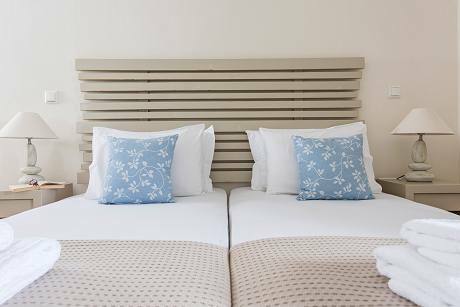 The apartments have separate sleeping rooms, a kitchen where you can prepare your own meals, a balcony or a terrace. 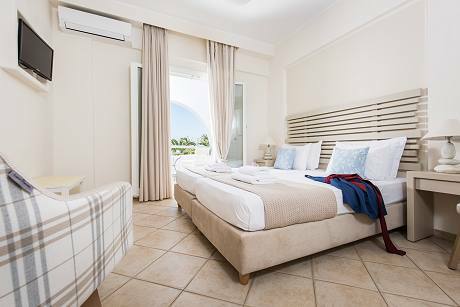 The services offered are often not included when you book a holiday home: room cleaning, change of towels and sheets, breakfast on request, laundry service and a personal, English-speaking contact person for all issues. 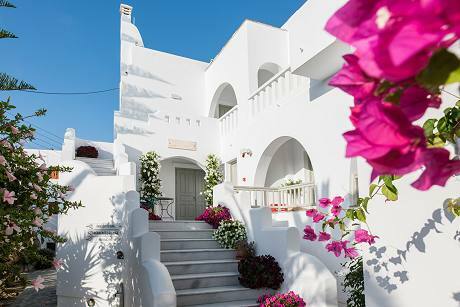 Are you looking for a hotel or holiday home on Naxos? 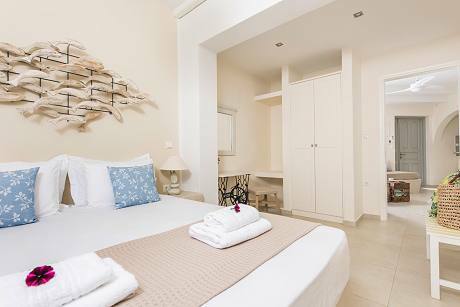 Take a look at Villa Naxia studios and apartments! 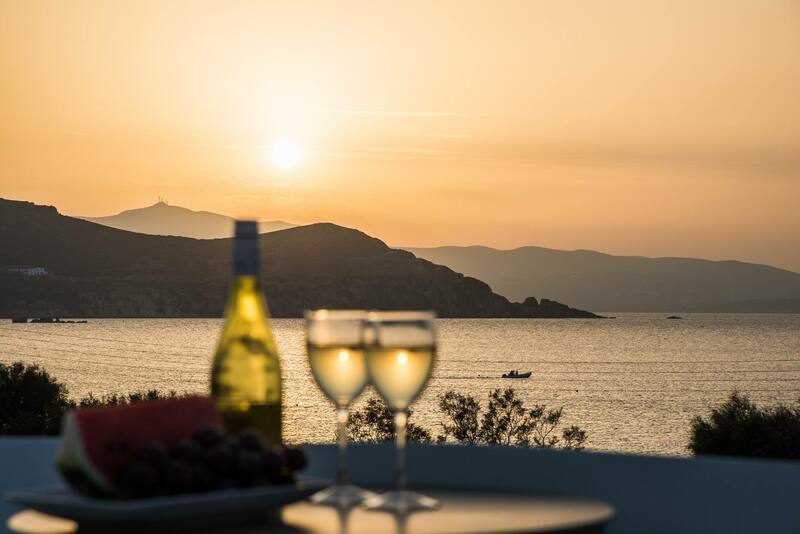 You will be convinced that Villa Naxia is the perfect accommodation for your holiday in Greece. Facilities and services: fax service, e-mail service, free parking, breakfast, credit cards are accepted, English and German are spoken, information service and activities. 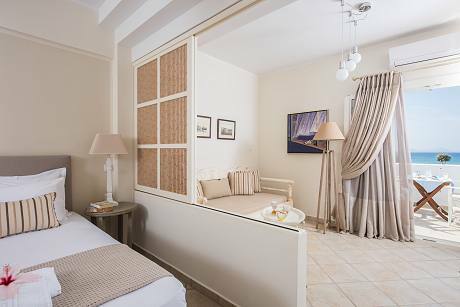 Room facilities and services: very spacious rooms, free Wi-Fi, fully air-conditioned, private WC / shower, balcony or veranda, hairdryer, refrigerator, telephone, fully equipped.